Two years later, the Australian’s dream morphed into a nightmare. Diagnosed with a form of malignant bone cancer called clear cell chondrosarcoma, doctors told him he needed surgery to remove the tumor and that the top third of his femur, as well as some muscle tissue, also had to go. For a man that made a living using his legs, it was not the news he wanted to hear. “The day before the biopsy surgery, I rode down to Lowers. It was winter, and there wasn’t anyone around. I just needed a moment, and I sat there staring out at the ocean just thinking about what was about to happen,” Lovett told the WSL in 2016. Thankfully, the same grit and determination that took Lovett to the top of the podium at Lowers would get him through his battle with cancer. Today, he’s back in the water and is a successful surfboard designer. He also works with a number of well-established brands in the industry. Lovett’s story may be the most inspirational of any the world tour victories at Lowers over the years, but every one of them has a backstory. The most famous may be Kelly Slater’s 1990 debut at the Body Glove Surf Bout III. The emerald-eyed kid from Florida had already been making waves for a few years, but the legend was born on the cobblestones at Lowers. As the story goes, Slater had just signed a monumental contract with Quiksilver and was eager to prove his worth. Sleeping on the floor at his friend Richard Woolcott’s house, who was working in Quik’s marketing department at the time and would later go on to co-found Volcom, the whole episode was captured in the classic surf video “Black and White.” Taking home a $30,600 first-place check for the effort, seemingly overnight Slater became a household name. He’d go on to star in the TV hit Baywatch, win 11 WSL World Titles and capture world tour victories at Lowers in 2005, ’07, ’08, ’10, ’11 and ’12. For an 18-year-old kid from humble beginnings, it was clear early on where his priorities laid in terms of the environment. Today, at the top of the org chart of his own brand called OuterKnown, Slater and his business partners are helping revolutionize the clothing industry through their sustainable and environmentally responsible practices. He’s been one of the most outspoken surfers when it comes to preserving and protecting the planet. More recently, Mick Fanning came into the Hurley Pro in 2015 not with something to prove to the world, but something to prove to himself. After being attacked by a great white shark in the final of the J-Bay Open in South Africa only two months prior, he still had some jitters to overcome. 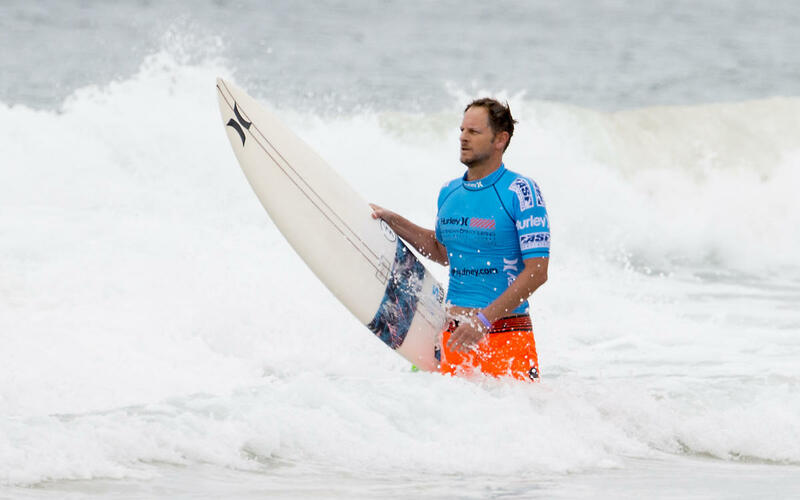 “It’s been a wild year for me,” said Fanning after beating Brazilian Adriano De Souza in the final. Every year we’re lucky to see these stories unfold right before our eyes. From battling cancer, to stepping out onto the world’s stage for the first time, to regaining one’s own sense of purpose, a win at Lowers means a lot more than a payday and a cool trophy. What’s the story going to be this year?